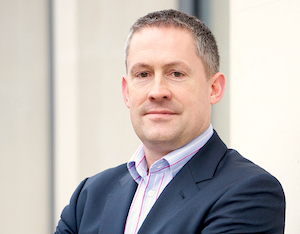 Michael Garrett joined Workshare as CEO in October 2018 having previously led Global Services for Micro Focus following its merger with Hewlett Packard Enterprise’s software division, creating at the time the 7th largest public software company in the world. 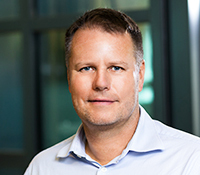 He brings over 25 years of software and technology industry experience having led organizations through significant periods of change to deliver strong customer success, growth, innovation and profitability. Michael spent 15 years with Hewlett Packard, latterly as Global Vice President of Services, a $450m business delivering software integration and solutions to more than 10,000 customers globally. 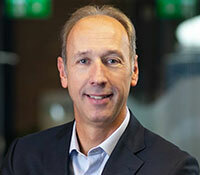 He also held a number of General Manager and Sales Leadership roles both in EMEA and the UK. Prior to Hewlett Packard he held sales, pre-sales and technical positions at Oracle Corporation, InterX Limited, and Siemens Nixdorf. Barrie was among the original founders and CTOs of Workshare, where he served as head of the company's research and development division. During his tenure, Workshare gained more than 14,000 enterprise customers in 70 countries. He brings over 20 years of experience conceiving, producing, and selling software. Prior to Workshare, Barrie founded SQL Development Ltd, growing it organically and employing 20 people who produced SQL data synchronization software for more than 300 enterprise customers in the United Kingdom and North America. He started his entrepreneurial career by founding Information Management Services Ltd in 1990 as a software developer, building data matching systems for The Council of Europe, BZW, and several London law firms. 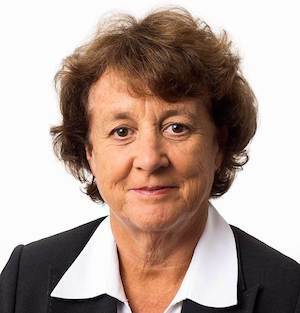 Karen is Chair of Draper Esprit PLC (an AIM-listed venture capital firm), a non-executive director of Micro Focus, Accesso Technology Group PLC and Alfa Financial Software PLC. She started her career at ICL before spending 20 years at Hewlett-Packard, where in 2000 she became Vice President and General Manager of Worldwide Sales & Marketing for the business's customer organization, responsible for sales of all Hewlett-Packard products, services and software to customers internationally. Prior to Karen’s current board responsibilities, she has held various roles at board level since 2001 at a range of technology companies. Karen holds a BA Honours degree in European Studies from Bath University and a Diploma in Marketing. Andrew is a Partner at Scottish Equity Partners where he focuses on growth equity opportunities across the information and communications technology sectors. He is deputy chairman of SEP's investment committee and joined the firm in 2002 from 3i plc's technology team. Andrew has extensive growth equity and venture capital experience and recent investments include Kiala, the European delivery network which was recently sold to UPS and Zeus, an internet and cloud infrastructure software company which was acquired by Riverbed Technology and named Best Venture Investment 2011. Will Gresty joined Business Growth Fund (BGF) in 2011 as an investor covering London and the South East. His main role is to source and complete investments into small and medium size enterprises in the region. Will works with the boards of five portfolio companies to drive value creation, including supporting acquisitions and follow-on investments. 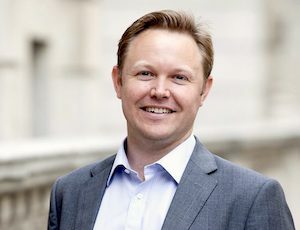 Before joining BGF, Will spent six years at Bank of America in London and the US, latterly as an Associate in the bank’s leveraged finance team. After leaving Bank of America, Will studied for an MBA at London Business School, which he completed in 2011. He also has an MA in Economics & Economic History from the University of Edinburgh.